App closes on its own. Very annoying. 5 seconds in and the app closes. Every time I open it it just kicks me out. And yes, I deleted it and re downloaded and I turned my phone off and back on... I also tried WiFi and LTE... does the same thing no matter what. "Nothing will ever clear my severe depression, not unless God wanted to.. But this app can help abit..My life has changed in so many ways since I started using it. This app is very relaxing for me and it has already doing so much good for my mental health. 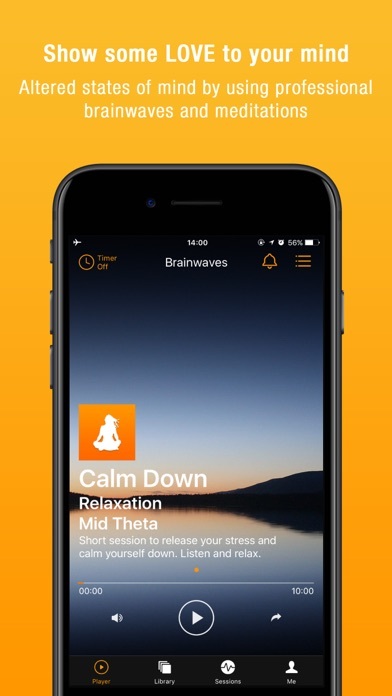 The first time I used it I was mid anxiety attack and the music helped me to calm down.I highly recommend this app." 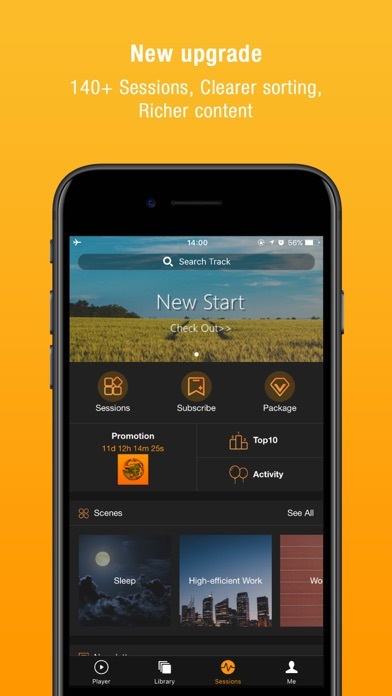 I have a few faves I listen to over & over again, yet the selection & quality of meditations, hypnoses, and my favorite, binaural beats, is what keeps me returning to this app as my most favorite for mindfulness practices. I was skeptical about the effect of brainwaves entrainment and never listened to it before. Lately I thought I would give it a try with this app. I am so happy I did. Just a few days in and already I am learning to relax&foucus which I truly need to do. Looking forward to doing it everyday. I hardly ever use apps or make reviews, but I will in this case because the peace it has brought is priceless with amazing results. I feel the shifts within the body mind and spirit simultaneously. I have immediate changes in mental clarity, mood stability, pain relief, stimulation of every part of being. I am always listening to them now, and when I’m not I still feel the results and allows me to process the moment rather than to react right away. More self control with anger and patience. The body systems for Healing is my saving Grace right now. Dealing with a rare disease not having much treatment options, and knowing that sound heals at cellular level is my HOPE presently. I’m so grateful this app “Popped up” unexpectedly when I needed it the most. Thank you Brainwaves! Don't like the voices, music, or images. I bought the anxiety aid brainwvaes recording and it helped me a lot to stop the constant thought train running through my head, it slows you down, almost stopping you from thinking, just taking you too a relaxing place where you can finally be calm and fall asleep. I was up for four days until I listened to it last night, it really did help. The free track CALM DOWN is also a wonderful stress buster. Again, an unnecessary subscription requirement. None of this has ever made any difference in me outside of the affect that music in general has. I got the unlimited! Everything I’ve tried so far really works the way it’s reported to do. Thank you! I love the calm! I've subscribed to the app and I use it everyday! It has become part of my life! It helps bring me to an even level so I can fall asleep easier.If you wanna clear your mind,find inner peace I definitely recommend this.Just wish the subscription was a bit cheaper cause it's a little expensive for a poor student like me. I have always had a hard time falling and staying asleep, with your music and brainwaves recordings... it truly is a help. From the bottom of my heart, you have greatly improved my chances of finally getting to sleep and thereby improving my happiness and general well being. Such a blessing. Really want to thank the developers of this app. When I get worked up or stressed, this brainwaves always calms me down and allows me to think about situations calmly while I'm listening. In the middle of listening to the peaceful sound of a water stream trying to fall asleep, but then it’s suddenly interrupted by loud instrumentals. I don’t know who put that together, but there’s nothing relaxing about that. It was pretty startling. The sleep brainwaves package actually worked!! Literally 3 minutes in and I'm falling aslee and waking up feeling much much better.I absolutely recommend it for anyone dealing with a bit of insomnia, stress or anxiety, it can help calm the nerves. 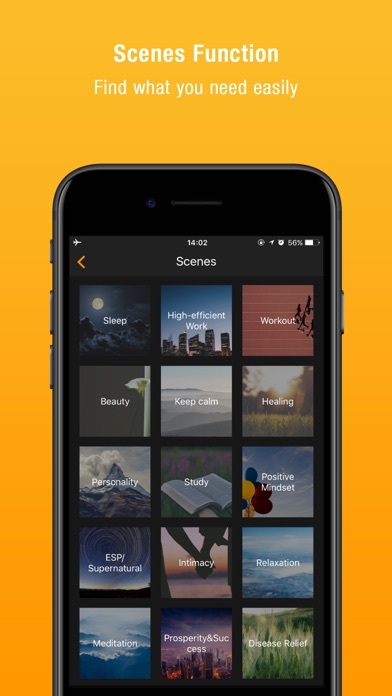 My anxiety was really bothering me and I went searching for some relaxing app. The brainwaves recording calm down immediately made me feel so comforted.It's exactly what I need. It really helps and works! I love this app. I purchased a year up front after my trial ended. It’s wonderfully helpful. You’ll be surprised. It’s not fake like all those on YouTube. At least check it out! I promise you won’t regret it! Binaural beats are scientifically proven to produce the good chemicals in our brain and stimulate the pineal gland. This app has improved my sleep, mood, and meditation time. This use to be a five star app for me. How exactly do I restore my previous purchases? 9/18 The developer was prompt and very helpful in answering my question. This is a favorite app of mine. So happy to have the app working for me. Finds very helpful, I listen to it everytime i feel anxious and don't need to listen to it right through because it instantly relieves the tension, stress and anxiety. I have been struggling with extreme anxiety for years that has kept me from everything from building a healthy social life, to starting any sort of lasting romantic relationship, to holding down a job, to even focusing on the things I love to do the most. For the past months, I've been listening to this every night and it helps my stress and anxiety. I've been using this app for about a month now . I own manifestation,past life regression,Christ consciousness ,sleep and the love one. I really love the Isochronic tones they really calm me. I find that when you actually read the instructions and really get in tune with meditation it works great. Manifestation is my favorite . Christ consciousness is really great for deep meditation and feeling an overall appreciation for life and nature . Past life regression is crazy but in a good way . You learn so much about yourself by digging through your past. Love is very upbeat and when i actually used it properly it was amazing . Sleep is self explanatory but I noticed I wake up feeling awesome . I love this app. I know it can be expensive but I recommend giving it a try. I love meditation, I've used different forms of it. Excellent app for changing your brain ways to use your noun neurotransmitters to calm you down and to help you sleep. 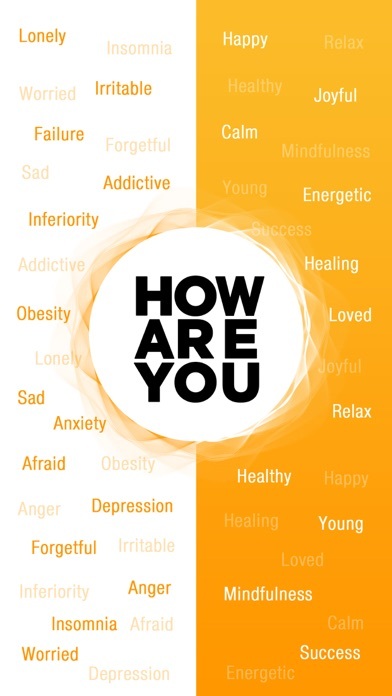 I do not know who designed this but being a psychologist and a nurse I am really pleased with my own results! Our Brain is so powerful! I have yet to make it through an entire session without falling asleep and the sleep I get is phenomenal. Definately recommend this to anyone that wants to try hypnothereapy as I find it is very effective. All the waves are tremendously wonderful, love every one I bought n some! Even my daughter had got her own, and her cat loves it too, the calm n sleep! But I wish there was one about talked , feel or see angels I will be the first one to buy that wave! Buy them whom ever reads my comments cus I been using them more every day since my son passed away in 2012! N calms me down n had helped me inmense! Calms and transcends! Great place to start! I have been using Brainwaves for a short time, but find it calming and a great way to understand the technique of meditation. I start to listen to a download and it automatically closes. Can’t listen to anything downloaded. Don’t recommend. If you are looking for an edge to living this is it. LOVE THIS APP. Thank you so much for making it available. I gave it five stars because it is very relaxing and effective.I have chronic insomnia and anxiety.But my life gets better and better since I started listening to brainwaves. I recommend this app very much. Keep it up, developers! I suffer from extreme case of anxiety,depression and insomnia.I was given medication to take which made me violently sick and this allows to reach a state of peace I never thought possible for me.I've used this app for about a month now and it still puts me to sleep in minutes, that is amazing!Thank you so much I have stopped taking the medication and now listen to the brainwaves instead. I like this app, however I do not enjoy having to re-purchase the same ones over again. I would also prefer if the guided ones had someone speaking who didn’t have so strong an accent. I find myself missing whole sentences, because of her accent. Wonderful! I was so stressed out with homework and listening to this helped me out with my tension headaches.And it's always helping me to study.I’m not getting distracted by the mind relaxing music and it also helps me to not getting bored from what I studying.Only thing I don't like is the price. Keeps crashing 5 seconds into a track. I sent 3 notes as I have the subscription service and am not paying for a crashing app. NO RESPONSE. Don’t waste your time and especially don’t waste your money. Excellent!!! Love love love this app! The app , is absolutely effective. I sleep better, I feel better, and it helped alleviate my sleep anxiety disorder. The only sore point is the price. 69.00 yearly is a bit steep. If you have the money, it’s very nice. Brainwaves is one of the most unique and powerful self-help programs available. I use it daily for uplifting and expansion but also for focus and relaxation. There is solid research behind the effectively of this programs concept and I can’t say enough good things about it. It is a must-have. This app is amazing- for the past several year it has been my rescue companion. It would be great if you could schedule brainwaves for a set time- like before waking up- to prepare for you for waking up! Awesome app and it really works! The relaxation session gets my heartbeat down in 10 min. Try it!